Here are some tips and useful information for everyone who is planning his or her holiday to Punta Cana, Dominican Republic. The Dominican Republic is another country not only in terms of territory and climate, but also in terms of the mentality and the environment. 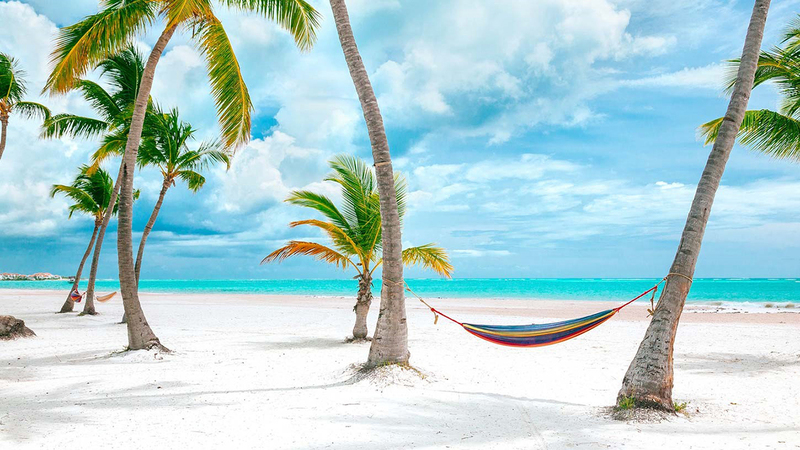 Before planning a vacation, you should find out what is the best time to visit Punta Cana, Punta Cana timezone, is Punta Cana safe, Punta Cana things to do, best excursions in Punta Cana, as well as activities in Punta Cana. So then, here are the most useful tips for travelling to Punta Cana. Punta Cana timezone is GMT-4. We also should pay a special attention to a very interesting fact. Perhaps this is due to the close proximity of the Bermuda Triangle, but time here works quite differently than we are accustomed to! If you hate waiting, if you used to plan your day in minutes, then in the Dominican Republic you will have to forget about it! The favorite word for Dominicans is mañana (Spanish tomorrow). Very often Dominicans promise a solution to some question but they will decide it tomorrow. Being late for 15-30 or even 60 minutes is normal and is not considered critical. It is just the way things go on an island. It is supposed that the months from December to February are the best time to visit Punta Cana. Moreover, in February you can watch whales in Samana Peninsula and Carnival celebrations. The resorts are the most crowded these months. If visiting Punta Cana at this period, we recommend you to make your booking well in advance. But actually, the weather in Punta Cana is great all year round. Book a hotel or a comfortable apartment in Punta Cana set right on the beach. Enjoy the warm tropical weather and picturesque landscapes. 3. What currency is used in Dominican Republic Punta Cana? The Dominican peso is national currency of the Dominican Republic. US dollars are also accepted, but it is better to change some dollars into pesos. Thus you will have the change. But be aware! The rate is not very profitable at the airport. That’s why we recommend change your money in banks. 4. Is Punta Cana safe? Do not wear bright and expensive bags and jewelry. Do not go with money in your hands. Do not count your money on the street. 5. Can you drink the water in Punta Cana? This is one of the most important tips for travelling to Punta Cana. You can not drink the tap water in the Dominican Republic, because it is not good and you will get sick. Even local Dominicans do not drink the tap water. Mostly hotels have a bottle of drinking water prepared for its guests. In our apartments in Punta Cana you will find a water dispenser. If you need water you just find a local colmado (a corner store) and order a big jug. You also can buy drinking water in bottle in supermarkets, that are within walking distance of our apartments. Do you want more useful tips for travelling to Punta Cana? Well, here it is. Most tourists who come to the Dominican Republic prefer staying at all-inclusive hotels. They really have no desire to leave it. They stand the whole vacation laying at the beach and sipping cocktails. If it is the right thing you are looking for, it is great. But, in case you want to discover the Dominican culture, you should at least go to a restaurant where the Dominican national cuisine is served. Or rent a car and explore the island, travelling around the Dominican Republic. The nature is so great that you will not regret. Check another beaches in small towns and villages, go to Santo Domingo, the Dominican capital, or have a night party and enjoy the nightlife in Punta Cana. Recently, most tourists prefer an independent vacation when renting accommodation. The reasons for this you can read here. Typically, the price of all-inclusive hotels is quite high. Moreover, choosing a hotel, the guest for a number of reasons, prefers to spend all the time in the hotel and not go outside to explore the Dominican culture. But, we think that your holiday to Punta Cana should be memorable and perfect, so we offer you rent Punta Cana apartments set directly at the beach. It is great to wake up to the sound of the ocean and see the beautiful tropical landscape just opening your eyes, isn’t it? An apartment will cost you cheaper if you do not travel alone. Moreover, you will be independent of the hotel restaurant schedule. 8. How are the beaches in Punta Cana? The Dominican Republic is famous for its beaches, that are truly world-class. White sand, crystal clear water of turquoise color, coconut palm trees and smooth waves. But we have to say that all the Dominican beaches are beautiful. That’s why we strongly recommend to visit different parts of the island. Book an excursion to Saona island, Samana peninsula, or just book an apartment in Las Terrenas. Or rent a car and head to Cap Cana village, Juanillo Beach or Barahona province, famous for its virgin beaches. Everywhere you will be surprised by the beauty of nature and natural beaches. Make a lot of photos and share them with your friends, as well as these tips for travelling to Punta Cana. 9. What food is Punta Cana known for? Do you want some tips for travelling to Punta Cana concerning Punta Cana food? The Dominican national cuisine is not famous for a dish that you will not be able to resist trying. However, being an island, the Dominican Republic is famous for fishermen who bring freshly caught fish and seafood to coastal restaurants. Do not deny yourself the pleasure of trying fresh oysters or lobster in an ocean view restaurant. However, the Dominican cuisine consists of chicken, beef, yucca, sweet potato, plantains, rice and beans. 10. Is there Uber in Punta Cana? Unfortunately, Uber in Punta Cana and Bavaro is not available yet. If you go to the capital, you can use Uber. It works well there and it is safer and cheaper. In Punta Cana and Bavaro you can get local taxi, but keep in mind that you need to be extremely cautious and negotiate the price before the trip. It is one of the most important tips for travelling to Punta Cana. Otherwise, you risk being ripped off. There are two types of taxi – cars and motoconcho. Motoconcho is motorcycle taxi. If you plan to travel a lot during your Punta Cana vacation, think about renting a car. This option will be more reasonable and cheaper for you. 11. How is the weather in Punta Cana? The climate of Dominican Republic is tropical. The weather in Punta Cana is hot and humid all year round. The temperature is about 27-30°C (80-86°F) the whole year. Be careful with the sun. The Dominican sun is so good that you can roast in the sun without noticing it. Do not forget to apply sunscreen with high protection every 2 hours no matter where you are. Spend the first days in the shade. We guarantee that even in the shade you will get tanned. The recommended time for tanning is until 11 am and after 4 pm. Note these tips for travelling to Punta Cana. 12. Spend your money on best excursions in Punta Cana and Punta Cana things to do. This is one of the best tips for travelling to Punta Cana. In the Dominican Republic there is a large number of places where you can enjoy the picturesque landscapes, first-class beaches. Book a trip to Saona Island, Samana peninsula, go to Scape Park, try snorkeling and diving. But it is worth noting that among the best excursions in Punta Cana you can also find adventures, safari tour, very informative trip to the capital. Have many positive emotions and good feelings! 13. What to bring from Punta Cana? Dominican coffee, cigars, larimar, amber, mamajuana… Have you decided to visit a shop with souvenirs and buy something for memory? But the prices are so high that they seem completely unrealistic? Try to offer the seller a price several times lower, and you will see how the final price will fall by half. And remember that when you haggle, you do not offend the Dominican. For Dominicans this is a kind of entertainment. Read a more detailed information of what to bring from Punta Cana here. Most likely you will meet a handsome guy or beautiful girl at the beach. There may be any relationship or feelings, but be careful. Sankie Pankies and Chapiadoras are Dominican guys and girls who are looking for a foreigner. For them you can be a lucky ticket to a better life. The only thing they are seeking is to get a visa or your money. We strongly suggest you remember or write down the emergency number in the Dominican Republic. It is 911. Also you can note the address of your country’s embassy. Below you will find the web pages of some embassies in the Dominican Republic. If you have the EU citizenship, you can contact any EU country’s embassy for assistance. We hope you will take note of our tips for travelling to Punta Cana. Relax and enjoy this brilliant place! See you in the Dominican Republic!